My bathroom is finished, and now we’re finishing the kitchen. Really, we are. So while I can’t say this is an all out fiesta and I’m celebrating my new kitchen, I will say that I’m firmly NOT in siesta mode. No sleeping until this project is over. How about a mini-fiesta in getting a tiny step closer to being done? I don’t think hostess Darcy would mind. This evening, Mr. TellBlast lifted much of the remaining resilient flooring. 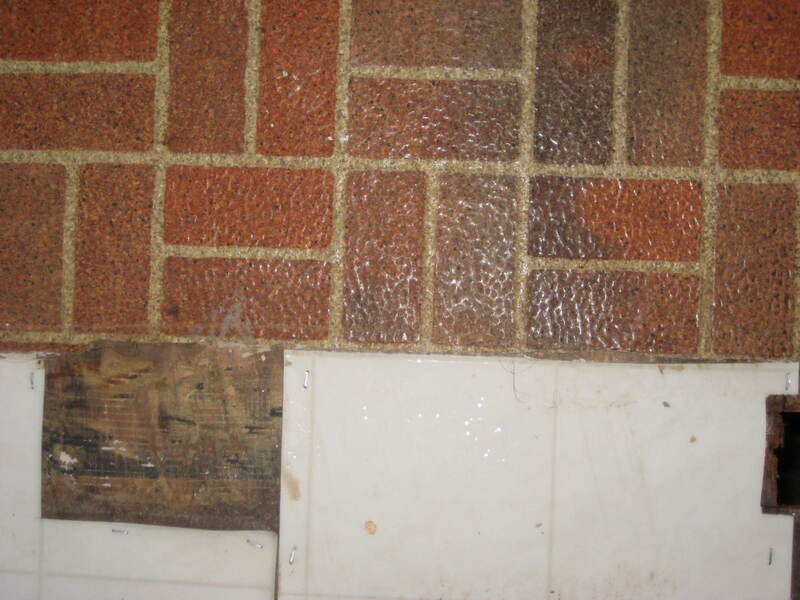 A layer of “brick” linoleum made with asbestos lays underneath. It will not be removed. There was still damp flooring from the leaky dishwasher near the closet door. The primer will be covered by leveling compound. This is important to us because we chose tiles for our new floor. 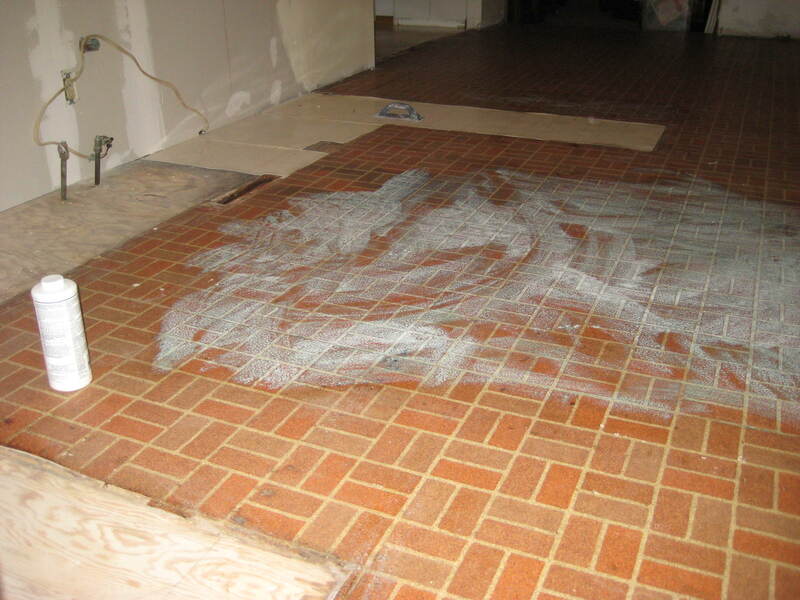 If the floor is not flat, the tiles could break (because they can’t bend) when we move the heavy appliances into place. 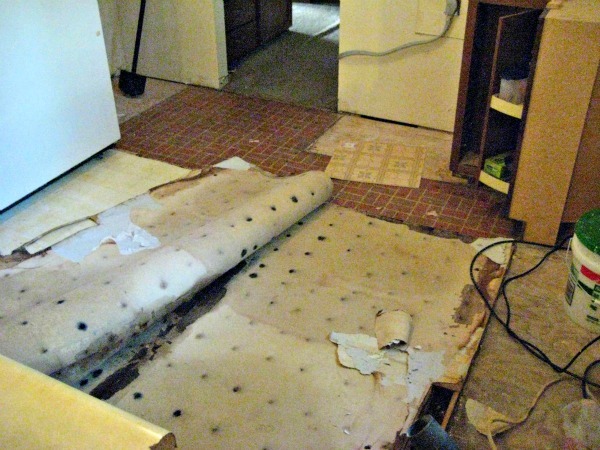 I want to add that tiles were definitely less expensive than the resilient flooring. Perhaps the prep work due to water damage is more expensive, but I say it’s all a wash at the end of the day. This entry was posted in blogging, etc. and tagged kitchen, p52. Bookmark the permalink.